When one thinks of a local source to find really unknown music, the most frequent answer that comes up seems to be Afternoon Delight with Courtney Blair. --- One of the few broadcast-radio programs left in the city working to bring you a completely original lineup of music that you haven't already heard on seven other stations, Blair delves deep into the indie charts and secret releases to present three hours of music that the average Utah listener hasn't even glanced at from a random Twitter post, opening her audience up to tunes they wouldn't have normally checked out. Gavin: Hey, Courtney. First thing, tell us a bit about yourself. Courtney: I was born and raised along the Wasatch Front, and currently reside in Rose Park. 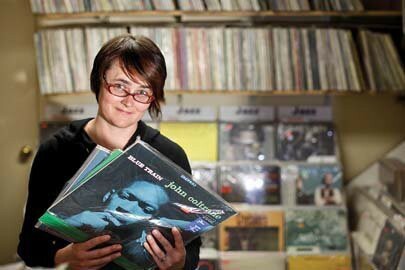 I’m addicted to all things music; listening, discovering, watching, and I worked 10-plus years in music retail. A highlight was being hired as the music buyer for Virgin Megastore. I graduated from the University of Utah with an emphasis in graphic design and currently work full-time as a graphic designer. 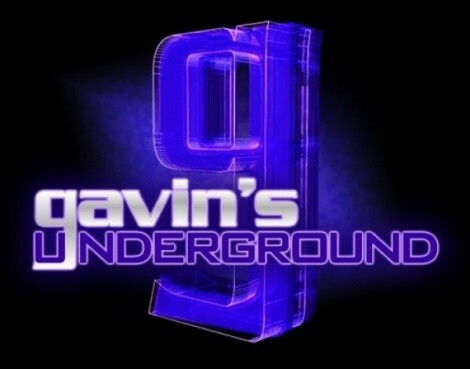 Gavin: How did you first take an interest in music as a fan, and what were some of your favorite bands growing up? Courtney: I have my dad to thank for exposing me to music at an early age. I remember artists like Frank Zappa, Arthur Brown, Supertramp, Heart, tons of Pink Floyd and Rush blasting throughout the house. When I was 9 or 10, my dad brought home a cassette that he obviously copied from someone and told me to check it out; it ended up being the debut album from the B-52’s. To this day, I still love that album. While I was in junior high, I discovered KJQ and fell in love with artists like The Cure, Depeche Mode, Smashing Pumpkins, The Stone Roses, and The Charlatans. The first cassette tape I purchased with my allowance was The Cure’s 1987 release, Kiss Me, Kiss Me, Kiss Me. Gavin: As mentioned, professionally, you have a background in art and design, and even have a degree from the University of Utah. What made you pursue that as your professional career? Courtney: I always knew I would make my living using my creativity. Through junior high and high school, art was the only thing I excelled at. I signed up for seminary just so I could skip class and hang out in the art room. If I was performing poorly in a class, I would draw or paint a picture for extra credit just to pass. Once I graduated high school, I began taking oil painting classes from my aunt and local artist, Bonnie Posselli. Eventually, I made my way to Salt Lake Community College for my generals and then making it to the U. Once at the U, I filled my semesters with every art course I could. My initial plan was to get my art emphasis in painting, but at the end of my first foundation year, I noticed the design department was accepting portfolios for review. On a whim, I applied and was rejected. However, that didn’t stop me. The following year, I took more painting, added photography to the mix and I restructured my portfolio to reapply for the design program. From what I remember, around 80 students applied and 30 were accepted, including myself. Over the next three years of design school, I began thinking differently and seeing my everyday surroundings differently. I was hooked on all things design related. Gavin: You currently create posters for local gigs through Pattern Daily, along with other designs you've created for clients and businesses. How has it been for you doing your own work and putting your art in the community? Courtney: I love being a problem solver for clients and offering my services to visually communicate their needs. I find it fascinating watching the process from concept to execution. One of my clients is KRCL, where I’ve designed everything from CD artwork to calendars and ad campaigns, and even more recently, had the opportunity to work with the new station manager, Vicki Mann, on overhauling the new branding for the station. About a year ago, I had a bad experience with a client and the fine artist in me started playing tug o'war. I started questioning myself as a designer. I considered giving up the design industry. This is when I had the idea to start Pattern Daily. I wanted to build a space where I could create freely and unattached to the restrictions of client work. It’s been amazing to see the amount of support I have received from fellow designers and friends about my work. Since I started my blog, I discovered the importance of building my Web presence. I now feature my work on various design community sites, like Dribbble, Behance and Pinterest. A large portion of my blog traffic comes from Pinterest. I am in the process of making my work available for sale, and it’s my goal to have a booth at a future Craft Lake City event. 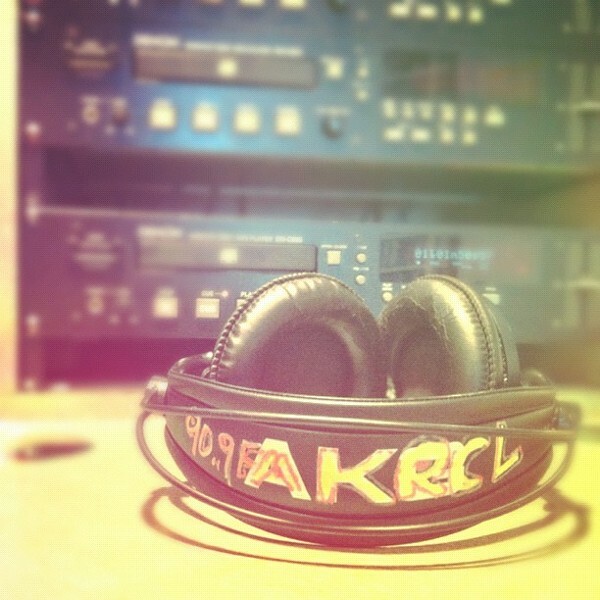 Gavin: When did you first start listening to KRCL, and what got you interested in wanting to DJ? Courtney: During the '90s, I was an occasional listener. It was shows like Kicking Judy and Across The Tracks that turned me into a regular listener. Eventually, I discovered the two gals who spoke my musical language, Dawn and Renee, while they were on Wednesday evenings. I tuned in weekly, waiting in anticipation for what they were going to play next. When they moved to the Wednesday Drive-Time slot, I followed, It was at this point that I lost my pledge virginity. 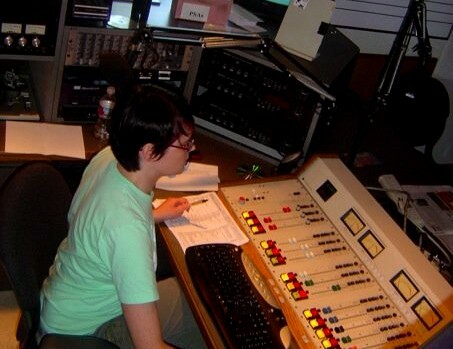 The idea of becoming a volunteer DJ at KRCL never crossed my mind until in 2006; Renee approached me at a Beth Orton show and mentioned that I should apply for a program. The idea terrified me. Gavin: What was it like for you approaching them with an idea for a show, and how did you end up getting a volunteer shift? 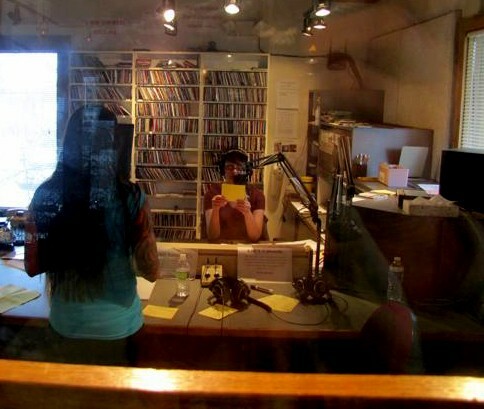 Courtney: Once the idea of applying for KRCL was there, I knew I didn’t want to do it myself. 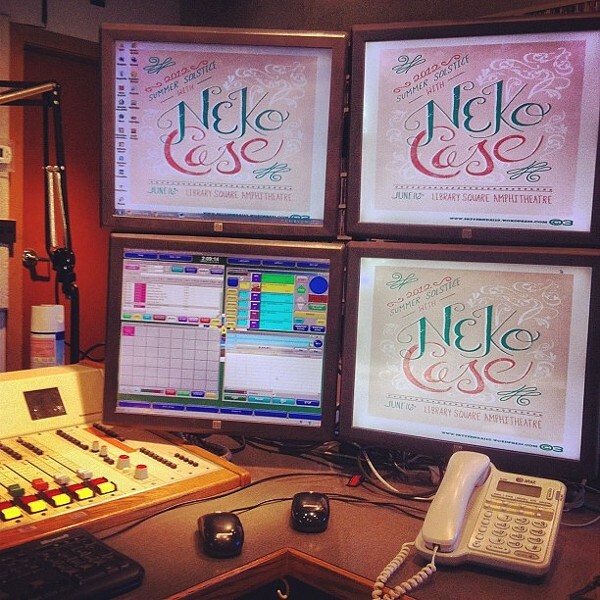 The thought of being on the radio by myself terrified me. In October of 2006, I asked my friend and music store coworker Mike if he’d be interested in applying for a show together. He said sure, and our initial show concept was basically exposing new artists and sharing their family tree of influences. An example we gave back then was something like The Rapture to The Dismemberment Plan to Gang Of Four. We wrote up a letter and sent it in and heard nothing until February 2007. The two of us were asked to join a group a new volunteers for a training session that took place over three days. Part of the training process was to do a couple of early morning shifts; Mike and I did our first shift together at 3 a.m. on a Wednesday. As expected, we were terrible -- the music was awesome, but our breaks were painfully awkward. Once the training was complete, Margaret Lake, the host of the Lake Effect, announced she would be leaving her program. KRCL’s program director, Ryan Tronier, asked Mike and I to apply. He interviewed us separately, but I made it clear in my interview that I did not want to do the Lake Effect solo. Mike and I took over the show that June. Gavin: How did you go about choosing the format of the show, and what made you choose a Starland Vocal Band song for the show's title? Courtney: I actually didn’t name the program, the name came from the former host Tristin. When I took her place in the summer of 2008, I was asked to keep the name, for consistency. When I applied for Afternoon Delight, I took into consideration the two the legendary programs that the show is sandwiched between --S aturday Sage with Dave, who plays heritage classics, and the reggae sounds of Smile Jamaica with Robert. The demo I sent in showcased a transition between the two programs, starting with the sounds of the '60s and '70s into New Wave and '90s fuzz to indie and electro of today. Gavin: What's it like for you choosing the music in your show and putting together a new playlist every week? Courtney: I take more care in selecting music for Afternoon Delight than I would in trying to disengage a bomb. I obsess. I prepare every week, I make notes as to what I say on air and plot every set of music I share. If I don’t have a sheet of paper in front of me, I tend to lose my thought and trip over my words. The idea of going into the studio on the fly and unprepared gives me anxiety. Each week, I take my air breaks at the same time; this makes it easier for me to plan. I like to treat every set of music as a mini-show. I try to listen to five or six new albums a week, and I also like to dig into the musical past. The beginning stage of my program starts with the new tracks that I’ve discovered and gathered throughout the week; I know that I want to either begin or end a set with a new track so I can briefly talk about it. I then follow or proceed the new track with something familiar but classic and end with something lesser known. 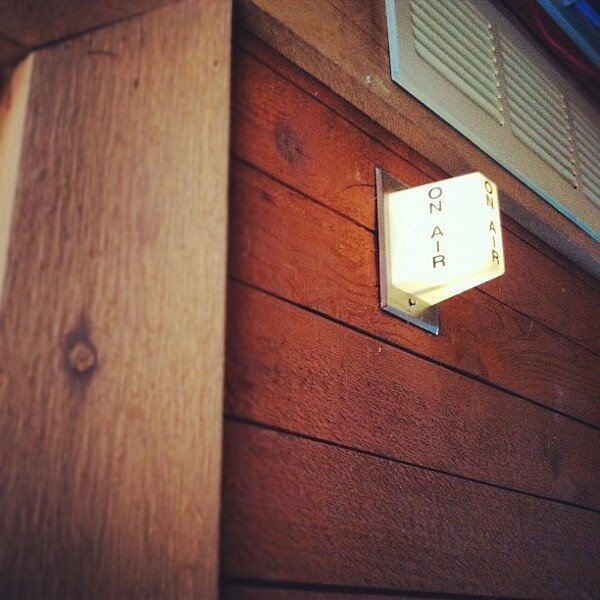 Gavin: Over the years, your show has become a staple of the KRCL lineup. What has it been like for you watching your show grow to that point? Courtney: A staple? 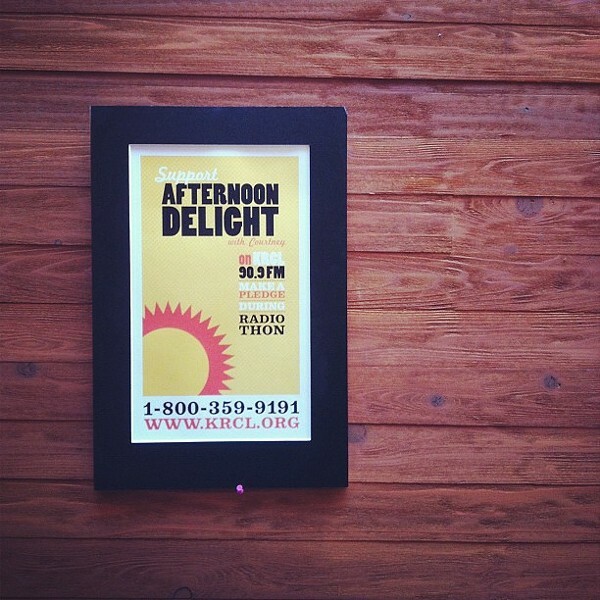 I think it's great that listeners make Afternoon Delight a weekend tradition. I like to think that I am doing the show for a handful of people. The idea of hundreds or thousands of people listening to me freaks me out. 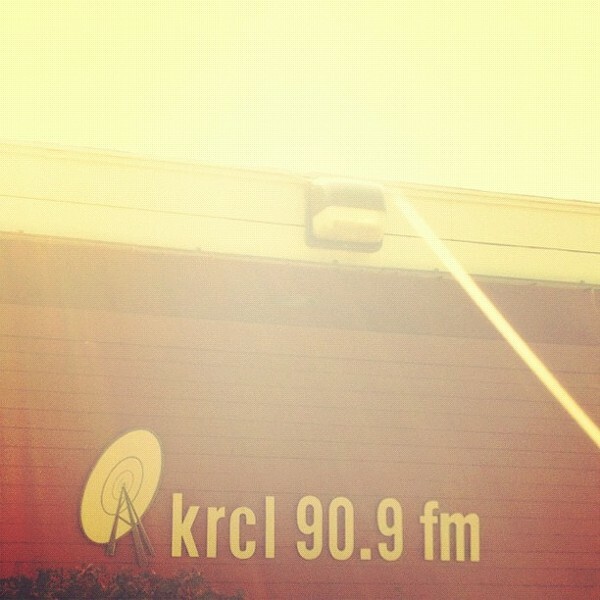 I’m honored to be involved and to have a program on KRCL. Gavin: How does it feel knowing that listeners revere you as a respected authority on new music? Courtney: I find joy in exposing new music to listeners and think it's great that listeners tune in to Afternoon Delight for that portion of the program. I thrive off of discovering the new stuff. While I was working at Virgin Megastore, I always looked forward to New Release Tuesdays. It was my job to keep up with critic reviews, the blogs and the hype on Pitchfork. Once the store closed, I still had KRCL to keep my drive to continue discovering and sharing new music. Gavin: You've also branched out and become a writer over the past few years, including becoming a senior staff writer at SLUG Magazine. What got you interested in writing about music later on? Courtney: Just like I was approached to get involved with KRCL, in 2009, I was approached by Angela Brown to get involved with the magazine; she asked if I would be interested in writing music reviews. I never really considered myself a writer but I agreed to do it. Without SLUG, I wouldn’t have had the opportunity to interview music legends such as Toots of Toots & the Maytals, Wire, and Ari Up of The Slits. Gavin: Seeing how so few people ever get to do it, how is it for you being both an introductory host to many for new music and also being a commentator on the music you play? Courtney: As I mentioned previously, I love exposing the new stuff to listeners. I also hope the listener learns something from the older stuff I choose to play. I enjoy learning the history behind the older bands, the songs, and the process of an album. I take what I discover and deliver the information in tidbits as I come out of a break or leading into a set. Gavin: With all the shakeups at KRCL over the past five years, you've now become one of the longest-running shows on the station. What are your thoughts on reaching that status? Courtney: I was the host of Lake Effect Tuesday mornings when the first "change" took place back in 2008. I lost that program and moved to the Tuesday 10:30 p.m.-1 a.m. I firmly believed in the changes and stuck around, which led to me taking over the Afternoon Delight slot. In comparison to Saturday Sage and Smile Jamaica, Afternoon Delight is nowhere near one of the longest-running programs. I’m the newbie of the weekend. To be honest, my time slot is a tough one to have because of where it’s positioned, between the heavy hitters of Dave and Robert. It’s my goal to continue with what I do and hope people care and listen. Although it may be small, I’m doing my part in growing the KRCL listenership. Courtney: I want to make it a habit to record and post my program weekly so listeners can stream it at their convenience at KRCL.org. 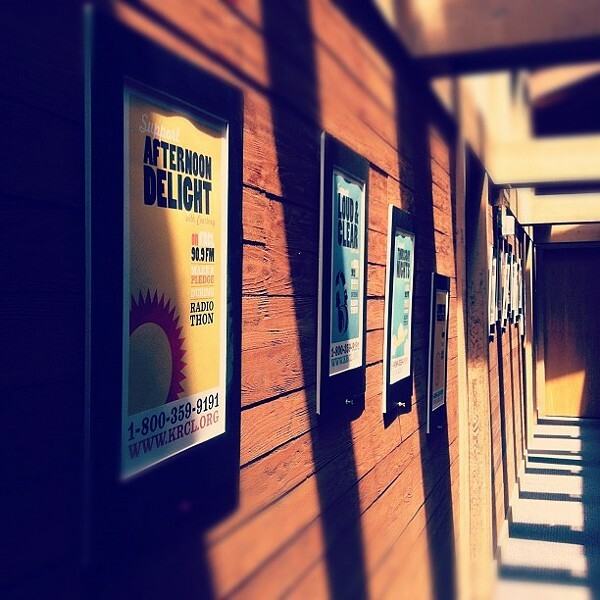 Courtney: Through the month of October, my gig posters will be on display at Whole Foods in Sugar House for the "Add Of Dash Of Art" exhibit, which is sponsored by SLUG Magazine. Also, KRCL's Radiothon is taking place now through Oct. 14. Make a pledge by calling 800-359-9191.